Treat aches and pains with these high-quality ColPacs from Chattanooga. The black polyurethane finish is a nice touch for those who prefer polyurethane over vinyl texture. 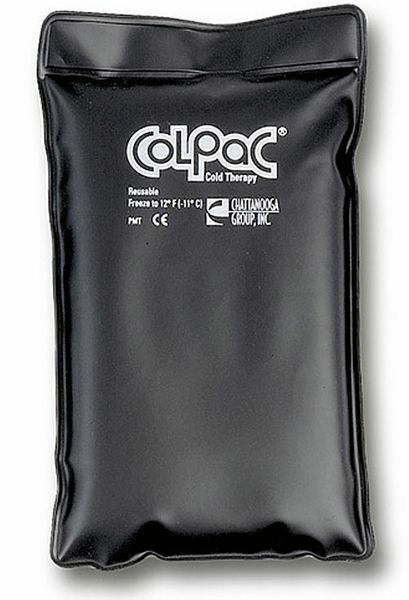 Filled with non-toxic silica gel, these ColPacs deliver up to 30 minutes of cold therapy. 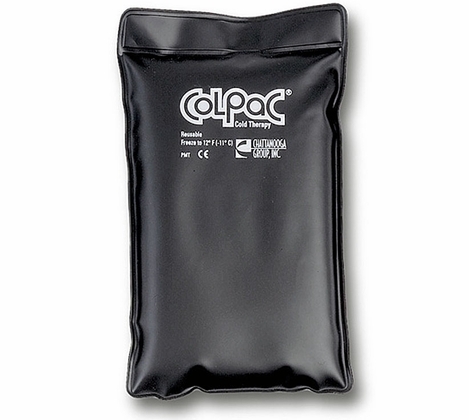 These ColPacs are also filled with a bentonite and glycol blend to prevent the ColPac from freezing solid. Latex free! Choose from four sizes: Half size 6.5" x 11" (Pictured), Standard size 10" x 13.5", Neck Contour 21", Oversize 12.5" x 18.5". Am going thru re-hap for a total hip replacement and the facility uses your products. I was so impressed with the results after a workout that I bought the two products from you that they were using on me. I will start just doing my rehab at home next week and will be using the Col Pac's after my home routine. Sure beats fussing with the solid ice packs that I have used for my hip & back over the past few years. A great product! Thanks!